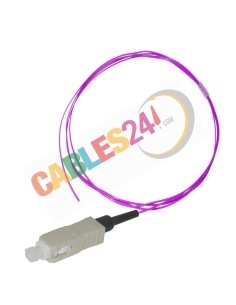 Shop Online Cables24 large stock where you can buy cables or splices Fiber Optic Pigtail melting at good price. Available Pigtail Multimode 50/125 the corner with OM4 ST connector. Pigtails Multimode 50/125 OM4 There are 4 products. Pigtail Fiber Optic Multimode OM4 50/125 ST with technical specifications according to current regulations. 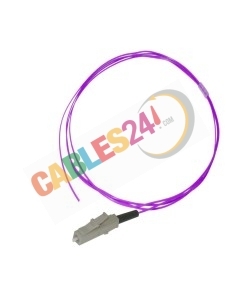 Choose length Add as many units need To buy press "Add to Cart"
Pigtail Fiber Optic Multimode OM4 50/125 SC with technical specifications according to current regulations. 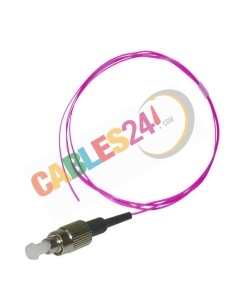 Choose length Add as many units need To buy press "Add to Cart"
Pigtail Fiber Optic Multimode OM4 50/125 LC with technical specifications according to current regulations. 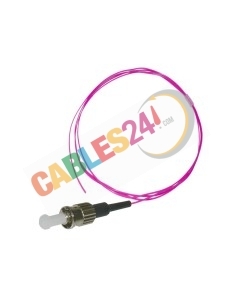 Choose length Add as many units need To buy press "Add to Cart"
Pigtail Fiber Optic Multimode OM4 50/125 FC with technical specifications according to current regulations. Choose length Add as many units need To buy press "Add to Cart"